After the soggy but successful sponsored bike ride in October (£300 raised!) there are plans for another one in a few months when the weather is less shite. Watch this space…. s about the situation for migrants in Calais, where hundreds of people are stuck living in appalling conditions and under the threat of regular police brutality. 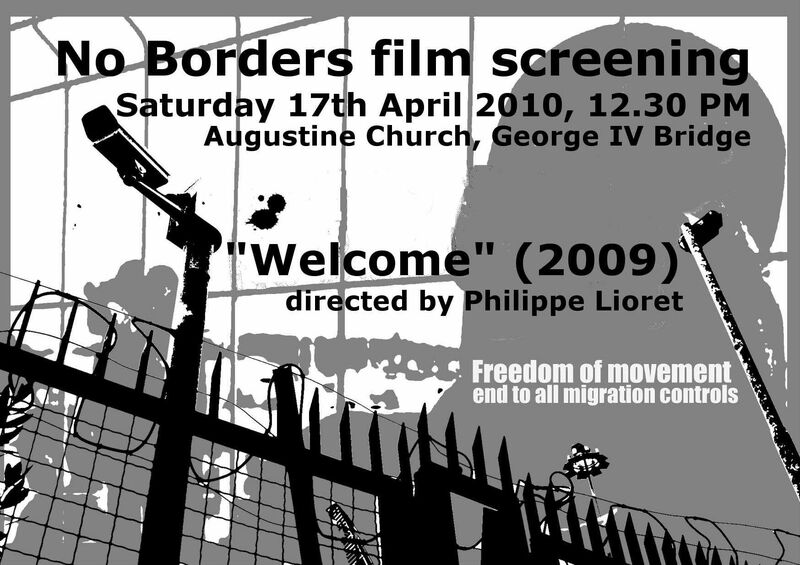 A day of discussion, workshops and films about migration, borders and freedom of movement! Practical support; the Unity Centre’s work and how you can get involved. Come along for the whole day, or just drop in for one session. The workshops will be mainly interactive – not lectures :) – and followed by discussions. Throughout the day there will also be banner-making, flag-making (for the Bike Ride – see below) and a flea market. Raise money for the Unity Centre and No Borders Scotland – join in our big bike ride from Glasgow to Edinburgh on Sunday 25th October! Meet 10.30am for a 11am start at George Cross, Glasgow. There’ll be a back-up vehicle and mechanics riding with the group and it is intended to be a casual ride for everyone!